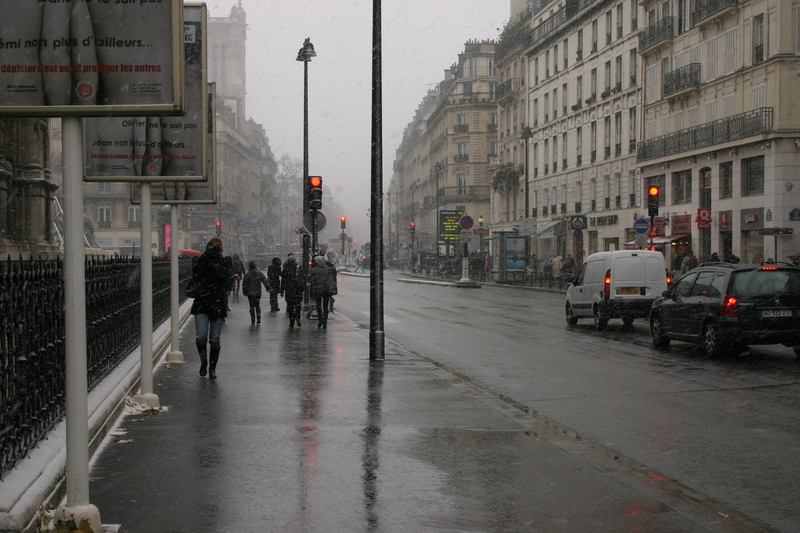 I have been hoping for a snowfall before I leave, and my prayers were answered on Saturday, on my way to the Museum of Arts and Trades. Another old museum, actually the Conservatoire National, which was created in 1794 by Father Gregoire as a “warehouse for new and useful inventions”. He kept his collection in the same refectory where it still is, only his beautiful church has also been taken over by the museum. For anyone with even a twinkling of an interest in how anything from a steam turbine to the computer had its origins after the Renaissance, this is the place. 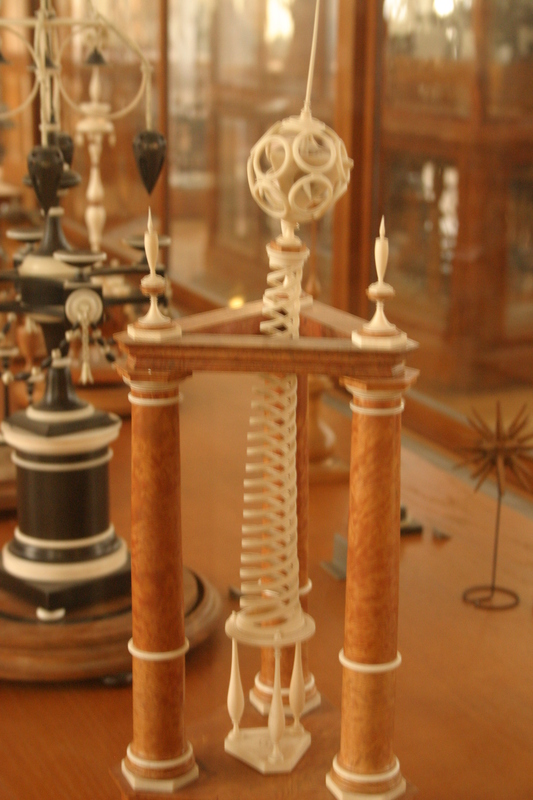 Beautiful working models as well as original objects, are displayed in the style of the old “cabinets of curiosities”. I include a photograph of a “sculpture” especially made for the King’s cabinet, made by one Francois Barreau, who was so secretive about the methods he used to make his incredible ivory and wood pieces, that he only used deaf and mute workers to help him. 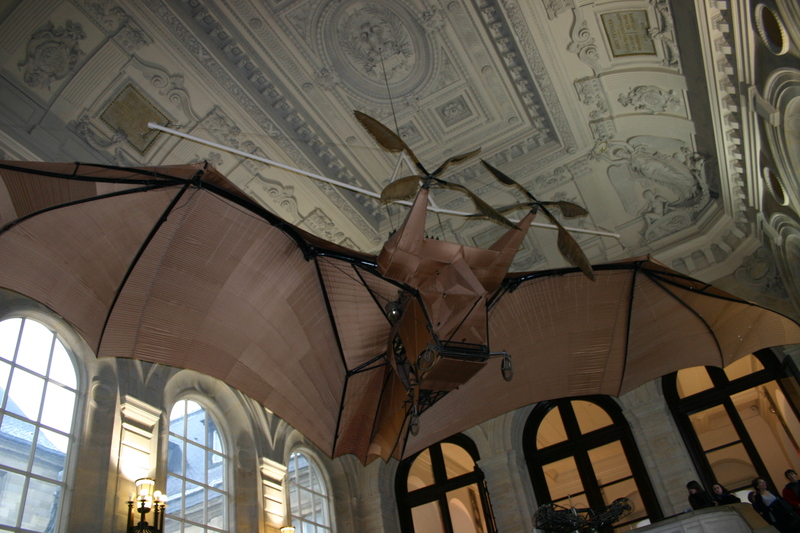 Strung from the roof of the huge staircase, is one of the first attempts to make a flying machine, built by Clement Ader, using the design of a bat. I have no idea weather the thing ever flew. 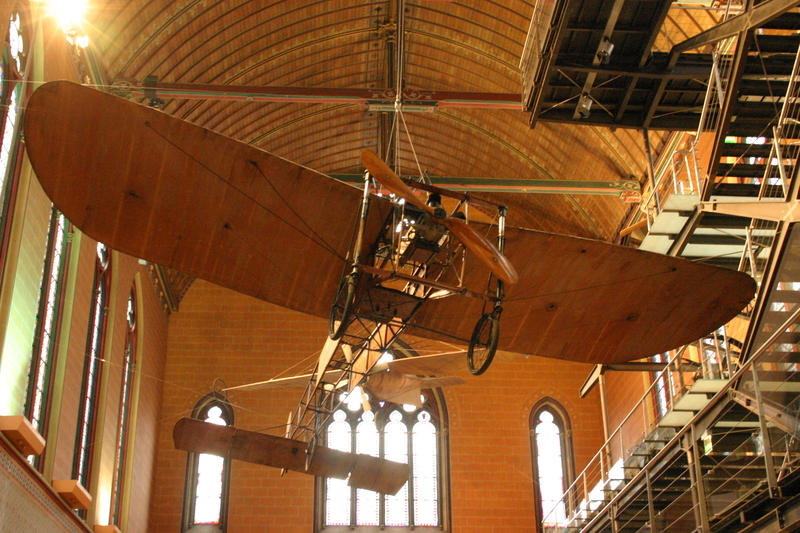 In the Church I took a photo of another early flying machine, among early examples of motor cars.